Japan’s Chademo Association is to develop an ultra-fast charging standard for global use, working with utility companies in China, the world’s largest electric vehicle market. The Chademo standard is used by the Nissan Leaf, among others. The Chademo DC rapid charge connector is already said to be the world’s most popular fast-charging standard, launched in 2009 and used by cars including the Nissan Leaf and Mitsubishi Outlander. There are around 18,500 units worldwide, offering charging at up to 60kW, though most vehicles are limited to 50kW or less, typically restoring 80% of their range in half an hour. Following a memorandum of understanding signed with the China Electricity Council, a government-backed association of utilities, Chademo will develop a new standard to offer ultra-fast charging for high-capacity, long-range electric vehicle batteries. This will be interoperable with the existing standards, meaning today’s electric cars will also be able to use the next-generation charging points. Chademo is already rolling out a new standard, enabling charging at up to 400kW, while China has its own standard – GB/T – with a connection similar to the Type 2/Mennekes plug used by many European manufacturers. 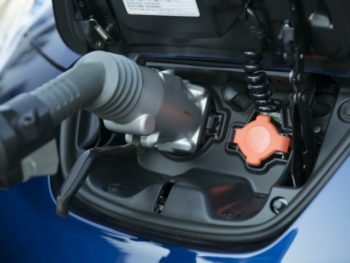 Although Chademo is popular worldwide, many European manufacturers are adopting the Combined Charging System (CCS), which adds two DC pins to a Type 2 AC connector and means only one port is required on the car.